On the basis that the only stupid question is the one not posed, here goes? What was the Usna Hill Redoubt? 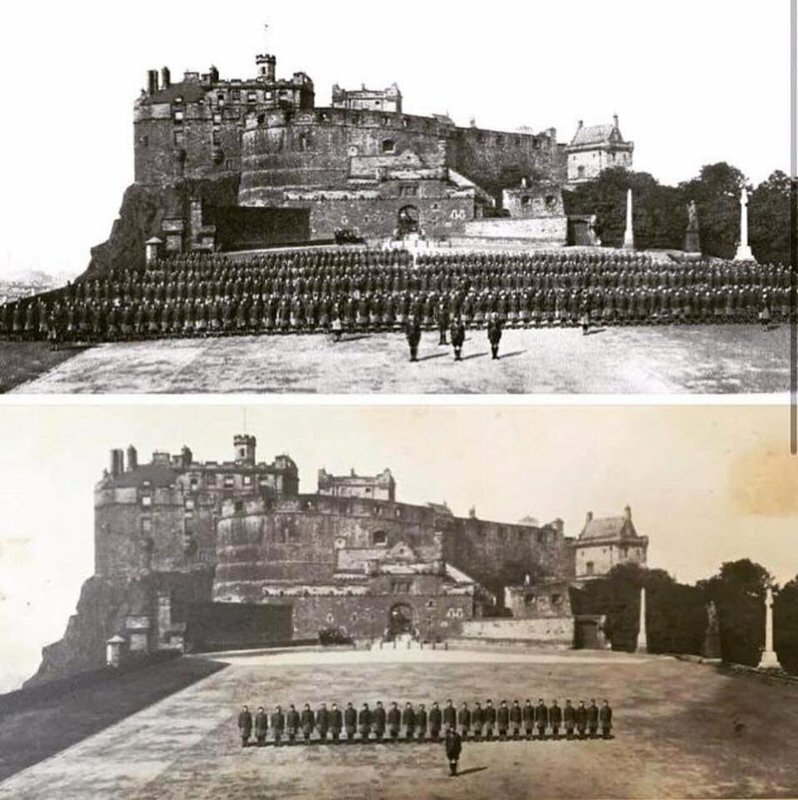 I imagine it was some sort of small fortification, but could anyone please provide any more details, e.g. size, exact location, etc.? Not to sure if I have the correct information, I have seen a picture of the Tynneside Irish . They was attacking along the Tara Usna line,Which I think must be between Albert and Lochnagar Crater. A redoubt was a tye of fortification. Some pals on the forum may correct me on this. The Usna redoubt was on the ridge overlooking La Boiselle, left hand side of the road coming up from Albert. Tara redoubt was on the right hand side. Tyneside Irish advanced from this line on July 1st 1916 suffering severe casualties. Any idea how far it was behind the front line? Looking at the maps I have I would say roughly half a mile behind the front line on July 1st 1916. Have you a particular reason for your question or is it just a general Western front question? Chris - many thanks for the map. I shall include it in my write up. Stephen - my gf's battalion took over the trenches in that sector on 4 Apr 1916. Battalion relieved 2nd Bn Manchester Regiment in trenches and posts east of ALBERT in [trench sectors] X.13.8, X.13.7, X.13.6, X.13.5, X.13.4, X.13.2, X.13.1 and X.19.1. Paraded at 7.15 pm and marched by platoons to trenches. In front line 2 Coys. In counter-attack line (ST. ANDREW’S AVENUE) 1 Coy. In USNA REDOUBT 1 Coy. Battalion HQ at MAISSIN in ST. ANDREW’S AVENUE. 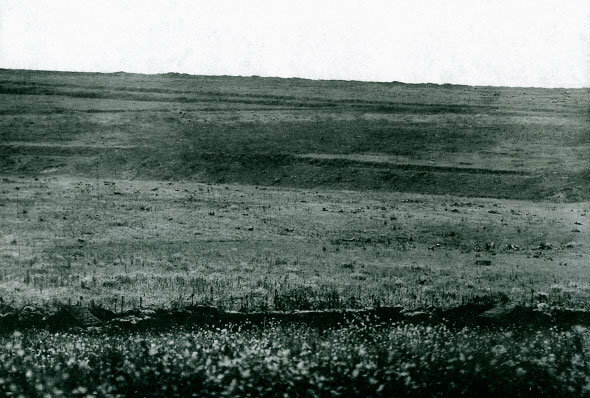 Holding trenches on left - 70th Infantry Brigade - on right 2nd WEST YORKS. R.
A few days later they came under fire from (mortars, rifle-grenades, etc.) causing the death of an officer and injury to 10 ORs. I am speculating that my gf was blown into a dug-out during this incident, and I wanted to get a clearer picture of the locality. I am taking some pics for another Pal in this area next week. Do you want a copy? If so, please p.m me your email & snail mail addresses. Hi Chris, do you have a larger map? 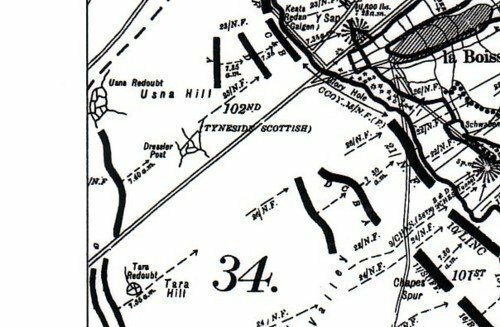 I am researching a novel and want to get a map as detailed as this showing more of the 102nd Tyneside (23rd NF & 20th NF). Your copy looks pretty good. Or if you have a link to an online resource that shows something like this. I don't know if it is any use but this is a photograph of the ground in Reg's link. This is Mash valley with Usna Hill on the right horizon, Tara in the centre and La Boiselle itself on the right. The viewpoint is the south western corner of Ovillers cemetery which is visible on the map if you move the slider. Nice photo Pete. Was at La Boiselle a couple of weeks ago. Presumably a typo - La Boisselle on the left? And that looks like that might be the Virgin and Child in Albert over on the extreme right. Attached to the June 1916 WD of 34 Div HQ General Staff is a map which shows Tara Redoubt and the front line (p 590/1037 on Ancestry) and attached to the July 1916 WD of 102 Infantry Brigade is another map of the general area (p 190/580 on Ancestry) which might help you. The WDs also have good accounts. Of general interest It has been pointed out before by a Forum member that in the Div HQ WD there is the Weekly Mine Report of 179 Tunnelling Co RE re Lochnagar. Absolutely correct Nigel; you can see why I don't drive on the continent. Eagle eyed spot of the tip of the tower also; I think the very top of the spire of the Hotel de Ville is just visible too, but like knowing my right from my left I could be mistaken. Whenever I look at these views, of which I have several I can't help feeling a chill given what happened in those fields. Two men I have researched may still be out there, or in the cemetery behind me under unknown headstones. I've seen this view described as having the largest concentration of bodies on the whole 1st July frontage, and there is some serious competition. Don't worry, when I am doing my BG books I am forever having to stop and think hard whether I really mean 'turn left', or 'on the right the X battalion was doing ...'. That makes me feel a whole lot better Nigel, thank you. I've never had a problem when using BG titles as a guide but not knowing my right from my left how would I know? Emma - apologies for taking this off topic and onto the subject of me being directionally challenged. I did wonder if the excerpt of the map might be from the Official History by Edmonds, if you have a search of the forum there might be something about maps being available on line. 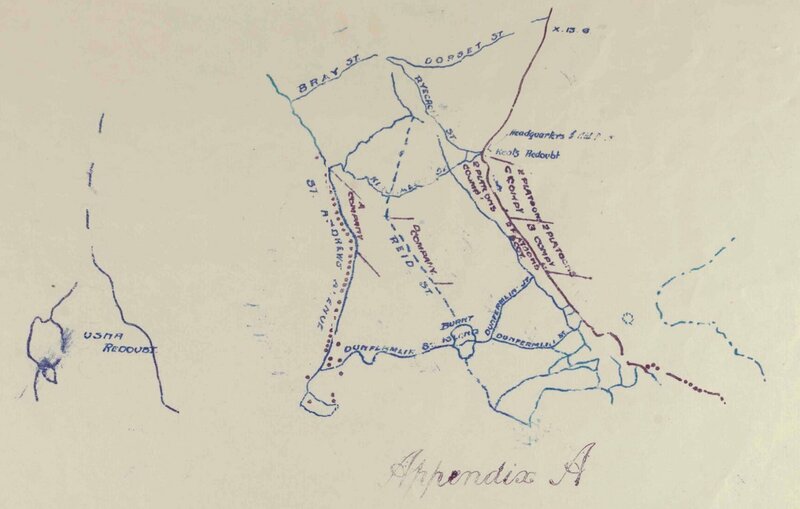 The map above is detailed enough to show the companies of the attacking battalions. It's worth having a look because as I am sure you know one of the terrible features of this part of the battlefield was the way that the Tyneside Irish and Scottish suffered terrible casualties before they had even reached the British front lines. You may find what you seek in The Tyneside Scottish History penned by 2 forum members Graham Stewart & John Sheen. Here is a link to the google edition with online access to various chapters - including the one about 1st July 1916. I had the privilege of interviewing some of the men who took part in the attack of the Tyneside Brigades. I gave this material to John Sheen. One man had been with a group which had penetrated beyond 'Y' Sap crater. In terms of the attack I have never encountered a more detailed map than the one above. I was always struck by the paucity of information in the Battalion war diaries, simply because so many of the officers who took part were killed or wounded. The best war diary account imo is that in the 18NF (Pioneer Battalion) but that mainly covers the action on the other side of the road to Usna. Does anyone know whether the bodies in this image belong to the 34th, the 8th or some other division ? I have often wondered. I was always shocked by the image. Is it Mash Valley even ? It does seem to belong to the series of Mash Valley panoramas. Thanks Steve for the link, I have purchased the kindle version so it should be a very interesting read. And I found a good may in the 102nd Infantry War Diary which I downloaded from National Archives. Emotive though it may be, it is unfortunately a fake image - the second is simply a well edited version of the first. Note the identical shadow direction, length, dirt marks, etc etc between, the two. In the second you can even see a smudge in the bottom right corner which corresponds perfectly with where the identically placed officer in the first has been less skillfully taken out! Two men I have researched may still be out there, or in the cemetery behind me under unknown headstones. I've seen this view described as having the largest concentration of bodies on the whole 1st July frontage, and there is some serious competition. Me too Pete. My G'Uncle was a casualty on the 1st July with the 2nd Middlesex and died later at Heilly Station and my nephew's G'grandmother"s first husband died on the 3rd July with the 9th Essex.